P3 offers the finest ski & snowboard rentals at competitive prices. Our equipment is tuned regularly, ensuring top notch performance on the mountain. We offer sport, performance and demo packages with the latest skis and snowboards. Our friendly staff will make sure you get the right equipment and answer all of your riding questions. Trim-to-fit custom insoles in all boots! The P3 Sport package is great for the recreational skier who is keeping it under warp speed and staying on mostly groomed runs. 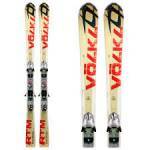 Our Volkl 7.4 is a user-friendly ski that likes shorter turns and is very forgiving. 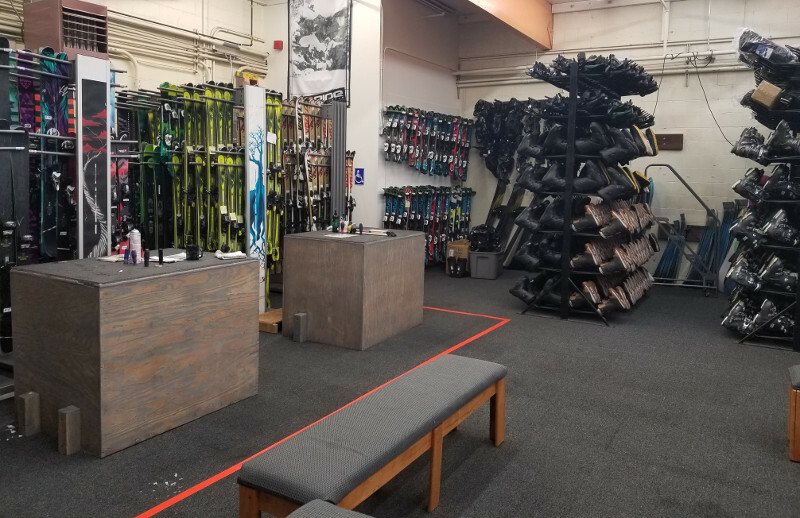 We carry three different brands of rental boots; Lange, Dalbello, and Rossignol, each having a different fit to accommodate a wider or narrower foot. We have a brand new fleet of custom Never Summer rental boards for both men, women and kida. We also offer the K2 Raygun for the men. It’s a great board for the solid intermediate rider who loves to get out and explore, this board will only support, and never hold you back. With the women’s sports package we also have the K2 First Lite. It’s small amount of Rocker resulting in more confidence throughout the learning curve and unlocks faster progression on all terrains. Finally for the groms we also rent the K2 Jr. Turbo Dream. The majority of our men’s performance ski are made up of the K2 Amp 80XTI. The Amp 80 XTi is a perfect ski for the strong intermediate to advanced skier who enjoys spending their time on the trail, but not afraid to go explore off the trail, when the conditions are right. It’s 80mm waist makes for quick edge to edge moves but is still wide enough to confidently explore off piste. The remainder of the men’s performance fleet are made up of similar skis. For the Ladies our K2 Superific is for an advancing skier looking to explore new trails and make effortless turns. It’s 76mm waist make it quick form edge to edge, but the 120mm shovel with tip rocker gives it more versatility than you expect. Like the men’s Amp 80XTi, the Superific is an exceptional ski for a performance rental and a great value. 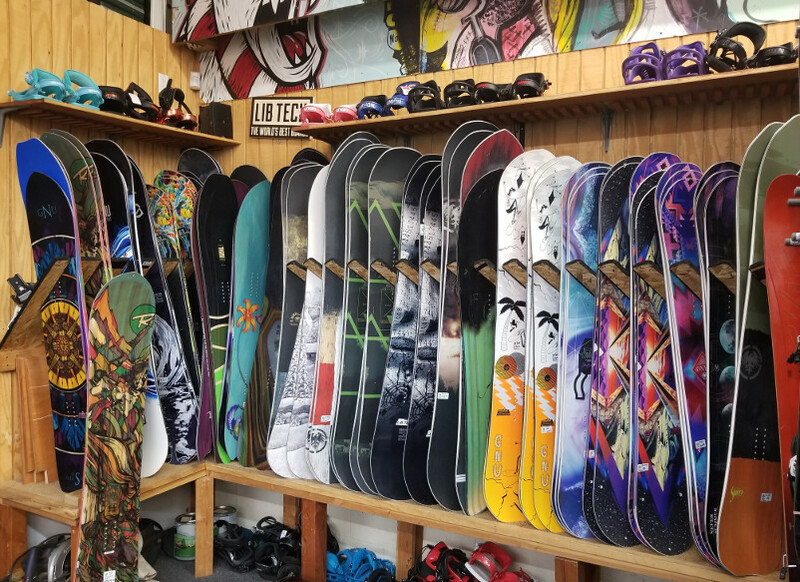 Our performance snowboards fleet comprises of all the demo boards from the 2016/17 retail wall. 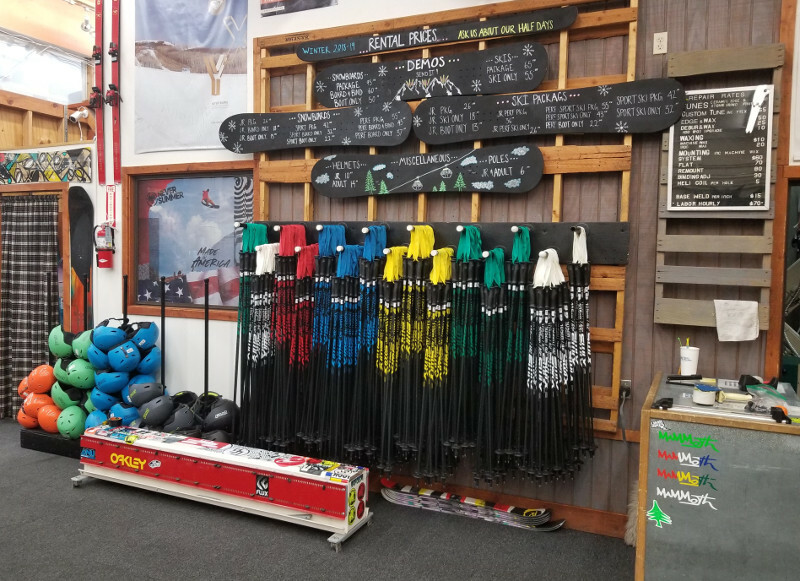 Demoing skis or boards is the best way to pick out your new sticks, or to get the best ride for the conditions at hand. Every demo on our wall is available for demo. We demo skis from K2, Icelantic, Armada, Line, Blizzard, and Faction. Snowboards demos from, Never Summer, Lib Tech, Gnu and Academy. What does P3 consider a Junior rental? Ski: Boot size 6 or under. A ski up to 135cm. Snowboard: Boot size 6 or under. A board up to 139cm. The following DISCOUNTS can be applied to rentals everyday of the season. No Black Out days! Rent 3 or 4 consecutive days get 10% off! Rent 5 or more consecutive days get 20% off!